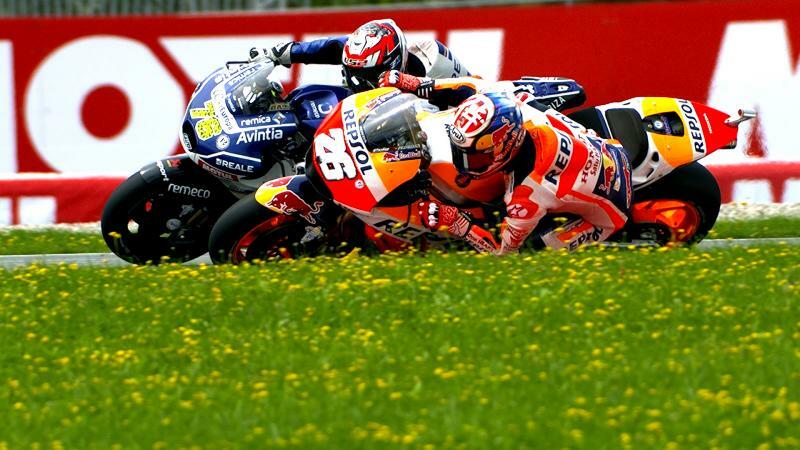 Marc Marquez (Repsol Honda Team) blasted out the blocks to pole position at the NeroGiardini Motorrad Grand Prix von Österreich, carrying forward his earlier pace on Saturday to stake a claim on victory at the Red Bull Ring. Expected key frontrunners Ducati were in close company, however, with Andrea Dovizioso (Ducati Team) taking second on his final lap and teammate Jorge Lorenzo completing the front row as Spielberg once again proved a happy hunting ground for the Borgo Panigale factory. Despite fears about the weather, there was no rain on Saturday and good conditions for heading round the track with the highest average speed of the year and some of the most beautiful scenery – meaning there was plenty of track time to make use of throughout the day as the grid get ready for 28 laps on Sunday. Staring down those 28 laps from the head of the second row is Maverick Viñales (Movistar Yamaha MotoGP), as he hopes to take an important podium finish for the Championship fight. The rider from Roses lines up ahead of a late charge from Danilo Petrucci (Octo Pramac Racing) to take fifth after the Italian moved through from Q1, with Johann Zarco (Monster Yamaha Tech 3) completing the second row as the French rookie looks to get back in the fight at the front. Valentino Rossi (Movistar Yamaha MotoGP) moved back up the order after a tough Friday to take seventh, just 0.003 ahead of Q1 graduate Dani Pedrosa (Repsol Honda Team) on a high-profile Row 3. Cal Crutchlow (LCR Honda), after having a fast lap disallowed for exceeding track limits, completes that third row. Team Suzuki Ecstar’s Andrea Iannone, winner of his first ever premier class race at the Red Bull Ring last season, is P10 on the grid after finding some pace on Saturday morning and bouncing back from a mechanical problem – with Karel Abraham (Pull&Bear Aspar Team) and Loris Baz (Reale Avintia Racing) completing the top twelve after Q2. Jonas Folger (Monster Yamaha Tech 3) is thirteenth on the grid after just missing out on graduation to Q2, ahead of Hector Barbera (Reale Avintia Racing) and Scott Redding (Octo Pramac Racing), who locks out the fastest fifteen. Pol Espargaro (Red Bull KTM Factory Racing) was impressive once again for KTM, taking P16 at their first ever home race and only a few tenths off moving through to Q2 as the Bulls continue their charge.